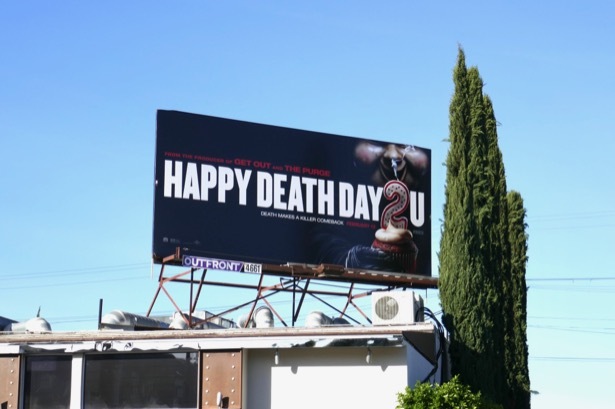 This Valentine's Day if you're looking for a scary movie to encourage your date to snuggle up at the cinema, it's déjà vu all over again with Happy Death Day 2U. In this sequel to 2017's hit Groundhog Day-style horror movie, Jessica Rothe returns as 'Theresa "Tree" Gelbman' and finds herself once again stuck in a time loop reliving the same day and her death over and over. This time she has company with her friends caught up with her in the phenomenon, trying to find the new masked killer and break the cycle of dying. 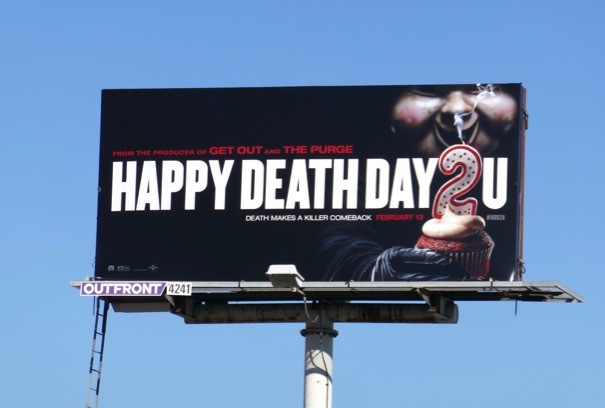 These killer cupcake movie billboards were snapped above Highland Avenue, La Brea Avenue, Santa Monica Boulevard and La Cienega Boulevard from January 23 to February 6, 2019. 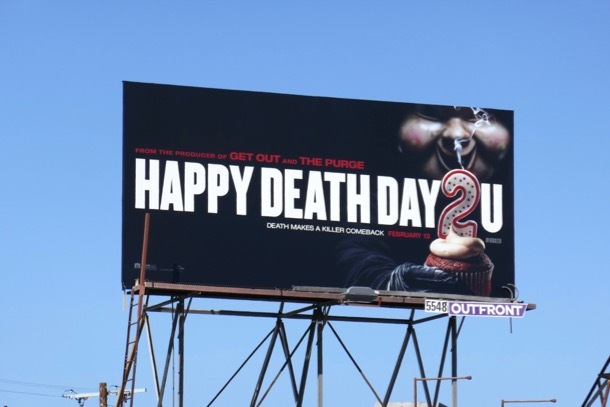 Fans of the slasher film can also enjoy these Happy Death Day movie billboards from 2017's autumn skies. 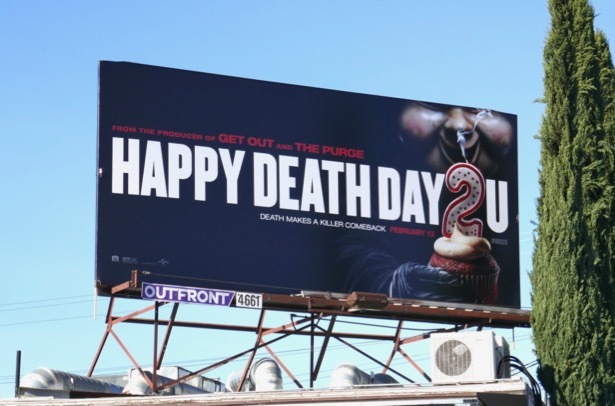 Let's hope this horror sequel doesn't simply repeat the jokes and surprises of the original film and offers something new to blow audiences minds.